The first month in Ecuador flew by, especially since we visited almost everywhere we could except for the Galapagos! The first week of orientation was breathtaking. We were blessed to have such a caring, fun and insightful coordinator from CEDEI who shared her love for the country with us. 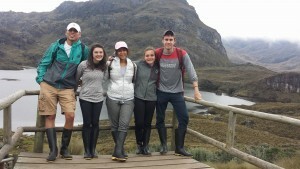 We went to the largest supermarket in South America in a town called Otavalo, visited numerous indigenous villages where we saw and learned how to make the beautiful weavings and fabrics, hiked 10 miles in Las Cajas, participated in a traditional “limpieza,” saw a futbol game, drove through the Coast, and hiked through the Amazon Forest. 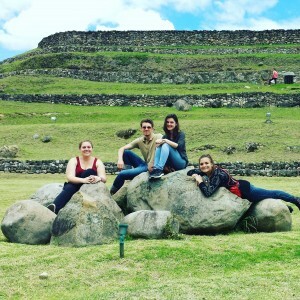 We made 100% cacoa chocolate, ate lemon ants, tried guinea pig, spent a night in Quito, celebrated Carnaval, visited museums, and walked through large markets and craft venues. Classes were invigorating and intense. 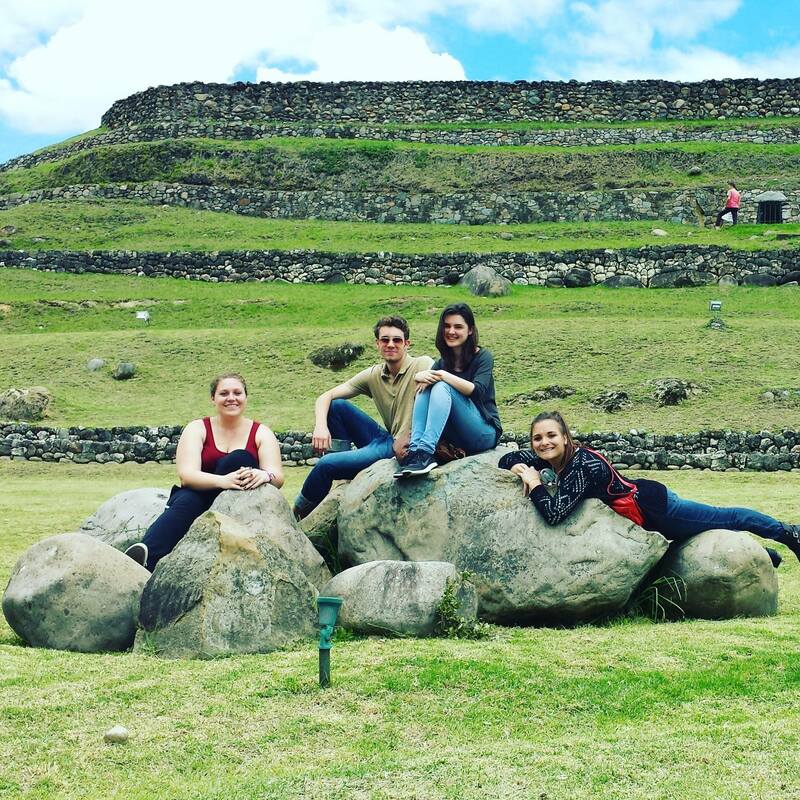 We learned about Ecuador’s history, economy, and culture and were easily able to call Cuenca our home. Our time in Argentina has been equally stimulating. We started off our experience with a bus tour to get an overview of Mendoza where we visited museums and oriented ourselves to this much larger environment in comparison to Cuenca. As a group, we have explored all of the distinct Plazas, befriended other exchange students in the IFSA Butler program, lounged in the park, and settled down for the next few months. 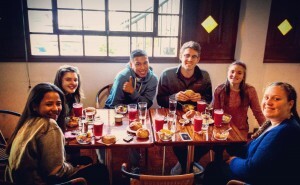 We took a trip to Santiago, Chile to visit the Dickinson students in the Chile Mosaic during their spring break as well as to see the famous music festival, Lollapalooza. We get to look forward to a trip to a Bodega, hiking a mountain, visiting another village, and a weekend trip to Buenos Aires. Our Dickinson class at the Universidad Nacional de Cuyo contrasts greatly to our other classes with Mendocinans and other exchange students. The exposure of a 100+ student class size highlights the personal and close-knit feel that Dickinson creates. Everyone has been happy with their host families and is awaiting all of the opportunities to come.